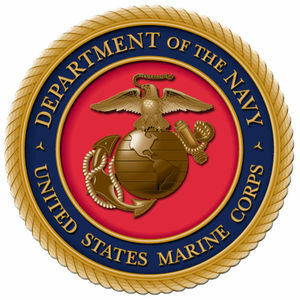 Wyrick, Robert B., Jr. - age 81, was born June 4, 1930 in Knoxville and died of heart disease Monday, February 27, 2012, at Ft. Sander's Regional Medical Center, a BRAVE MARINE. He was a member of Fountain City Presbyterian Church. Preceded in death by parents, Robert B. Wyrick, Sr. and Martha Cummings Wyrick, and his infant sister. He is survived by his wife, Nina Hatchcote Wyrick; daughter and son-in-law, Jan Wyrick Adam and Patrick Adam; and granddaughter, Hailey Adam. Family and friends are invited to attend graveside services at 10:30 am, Thursday, March 1, 2012, at Highland Memorial Cemetery with Dr. Max Reddick officiating. Honorary Pallbearers will be James McCorkle, William S. Cox, James O. Miner, Jack Lowry, and Robert Danner. In lieu of flowers memorials may be made to Fountain City Presbyterian Church (500 Hotel Road, Knoxville, TN 37918) or East Tennessee Children's Hospital Neonatal Unit (P.O. Box 15010 2018 Clinch Avenue, Knoxville, TN 37901). The family will receive friends from 5:30 pm until 7:30 pm Wednesday, February 29, 2012, at ROSE MORTUARY BROADWAY CHAPEL. Online obituary may be viewed and condolences extended at www.rosemortuary.com. Create An Online Memorial For Robert B. Wyrick, Jr.
Jan and family my thoughts and prayers are with you during this time. Please let me know if I can be of any assistance to you or your family. Jan, I am so sorry. Please know that me and my family will be praying for you and yours. I love you, friend.